Here is the video recap of the 2018 Dirt Orca’s Summer Classic. Once again, thank you to all of the riders who attended. It was fantastic to see many of you return for the second year and to meet some of you for the first time. Thank you to our sponsors for helping me put this event together. The second annual Dirt Orca’s Summer Classic was produced by Paul Strubell of Dirt Orca’s, in conjunction with BMW Motorcycles of Iowa City, Backcountry Discovery Routes, Jefferson County Ciderworks, Giant Loop and TheWarmingStore.com. Some details to recap the event. We hit capacity and had 50 riders preregister for the event. We saw 45 riders start the ride from BMW and only 12 completed the entire route. Most people completed about 80% of the ride before hearing the dinner bell and heading straight for Ciderworks. We saw some sloppy conditions at times but overall the riding was pretty good. The large water crossing towards the end of the day was particularly exciting. For those of you not familiar, here is a recap of the event description. “We have once again put together a adventurous route that winds on mostly B-Roads and gravel from Iowa City to a beautiful cidery in Jefferson County, Iowa. 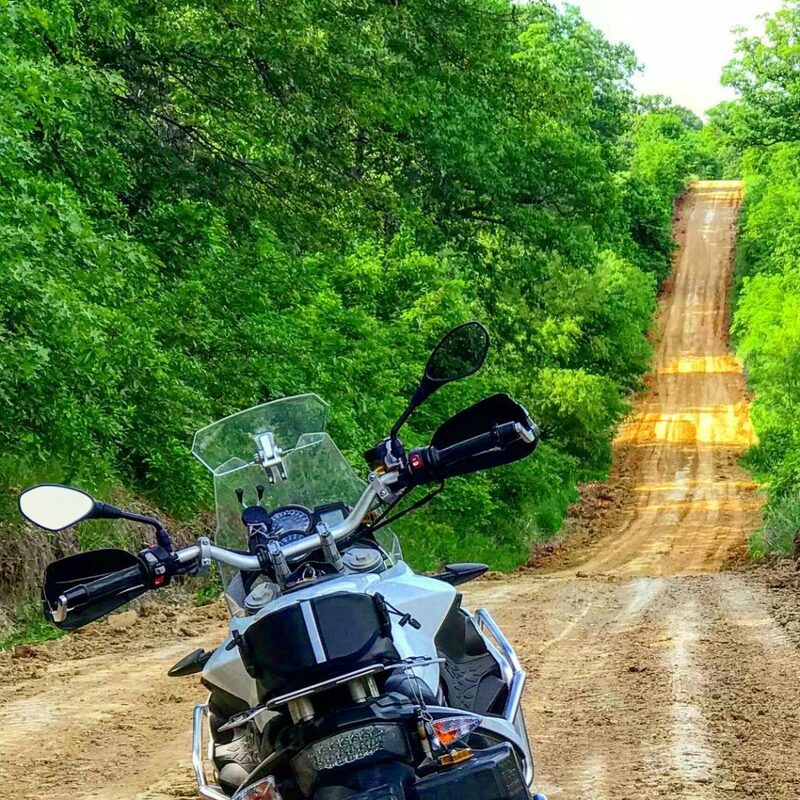 There will be water crossings and ample dirt under our tires, but this track will be doable for all adventure bikes with at least 50/50 tread. It’s not epic, but sometimes one day is just right. We ride from BMW Motorcycles of Iowa City, on a predominately off road route, to Jefferson County Ciderworks. There we grab a great dinner and some adult beverages, while I pass out the prizes to our raffle winners. Once the sun goes down, we watch the latest Backcountry Discovery Routes film on an outdoor screen and finally turning into the tent for the night. The song used in the video is called “In the Fall” and was generously donated by The Jefferson County Green Band. The bands harmonica player, Kevin Riley, was one of the riders and does a lot of work with me to plan the route. Make sure you watch this all the way to the end for a special Easter egg. Hope to see you along for the ride in 2019. What a blast we had. Very challenging portions of the ride. Excellent video. Thanks for sharing. Thank you! Appreciate you attending the event and hope to see you again next year.